I got about halfway through this and thought, hmmm, this is probably how I’d write if I was paid to wear a tie to work. I thought this had the heft to deserve consideration for publication at the Pittsburgh Post-Gazette, which sometimes runs my stuff on the Sunday Forum pages. So I wrote this without silly asides, odd tangents or stabs at humor. If you came here today for fart jokes, this is bound to disappoint. But if you love Pittsburgh sports and remember the great Vince Lascheid, you might enjoy this. As a small consolation, I do include a mild profanity which I’ll delete before submitting, but swearing’s always fun. Big home stand at PNC Park starts tonight. The Pirates are playing the world champion St. Louis Cardinals. Forecasts call for decent weather. Gangbuster crowds are expected. That’s good. I love baseball and I want the Pirates to succeed. So I hope to see everyone there at the ballpark. That would be Vince Lascheid. A two-sport protege, it could be argued he’s the greatest -- and only -- player to earn cheers at PNC Park, The Civic Arena and Three Rivers Stadium. In the last three years, he’s become one of the greatest comeback performers in city history. He died in March 2009 and he’s still coming back, a JumboTron Lazarus resurrected every seventh inning. 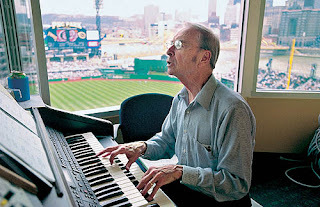 The Pirates play a film and audio clip of Lascheid, the beloved game organist for the Pirates and Penguins for more than 38 years, playing “Take Me Out to the Ballgame” for the seventh inning stretch. They do this, they say, in tribute. As a long-time cynical observer of Pirate ownership, let me offer another motive. Rather than hire a talented and creative organist to embroider the game with snippets of musical wit, they prefer to nightly conjure Lascheid’s ghost and try and fool people into thinking the gesture is noble. In fact, the recording only diminishes a legacy that’s best measured in just four or five notes. That’s all it took him to engage and delight discerning fans who were alert to Lascheid’s deft and devastating humor. When a player’s name was announced, Lascheid would, sneak in an often subversive little ditty that added so much subtle sparkle to a day at the ballpark. The week pretty boy Dodger Steve Garvey was tabbed by a national magazine for being one of America’s most beautiful people, he’d sashay up to the batter’s box listening to the same iconic song they play for Miss America. Garvey complained. He said it was insulting and demanded Lascheid cease playing it. He had free reign to musically editorialize on every on-field situation. His contributions to Penguin lore are no less indelible and earned him induction into the club hall of fame in 2003. 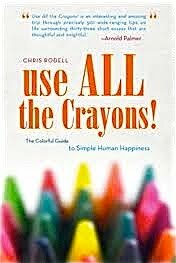 That such genius is irreplaceable doesn’t mean we shouldn’t try. Beloved Cubs icon Harry Caray was considered irreplaceable, too. He’s honored with a statue outside of Wrigley Field, but his signature moment, his drunken slurring of the “Take Me Out to the Ball Game,” is vanquished, replaced by a great tradition of various celebrities taking the mic. The Pirates should consider a similar move. They should audition lively local organists to fill the Vince Lascheid Bench. It would add buoyant atmosphere to an event that, like so many others, is numbed by high-decibel pop hits played because teams mistakenly believe the familiarity will lure young fans whose access to that very music is now without limits. No one needs more Selena Gomez. Everyone needs a little more novelty. We can best honor Vince Lascheid by giving a talented organist a chance to be Vince Lascheid.